Purchase the General Admission Ticket to have access to Vagos Metal Fest 2019 for all 4 days from Thursday 8th - Sunday 11th August. Lineup include: Alestorm, Six Feet Under, Stratovarius. Hotel Afonso V is located in one of the best areas of the city, a short walk from the center city, the Cultural and Congress Centre, the University and Forum shopping mall and 7 km from the beautiful beaches of Costa Nova and Barra. Guests can indulge in the varied local food, including fish stew and ovos moles. All of Hotel Afonso V’s guest bedrooms are equipped with cable TV, minibar and ensuite bathroom with hairdryer and a safety deposit box. There’s a relaxed cocktail lounge in the lobby. Other amenities include a business center and a TV lounge, as well as a game room with a billiards table. 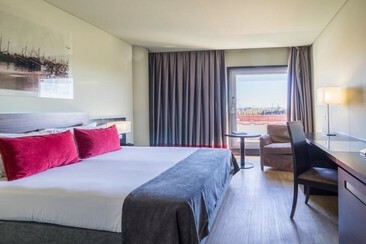 The Melia Ria Hotel is in a new development in the center of Aveiro, with views of the lake formed by the river Ria de Aveiro. It is located near the Cultural Center, the Congress and the train station, and is within walking distance of the historic city centre. 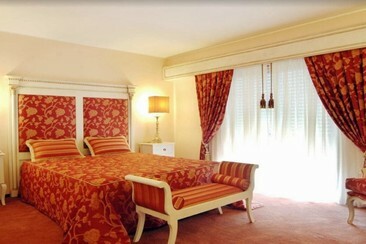 The Hotel has 128 rooms with elegant and comfortable decoration, mostly with view on a Ria de Aveiro. All rooms have a fully equipped bathroom with hair dryer and make-up mirror, air conditioning, LCD TV, telephone with external access, free Wi-Fi, an electronic safe and mini bar. This modest hotel situated in the heart of Aveiro. The most beautiful Art Nouveau buildings, the Cathedral, the Museums and the bustling Plaza do Peixe with its restaurants, bars and shops just a 7-minute walk away from a hotel. Guests can experience the local nightlife and the quietness of the countryside in the heart of the city, known as the Portuguese Venice. The hotel offers 24-hour reception, air conditioning, daily housekeeping and self-serve laundry. Featuring wood floors, the unfussy rooms come with free Wi-Fi access, flat-screen TVs, tea/coffee making facilities and bathroom with shower/ bath and free toiletries. Get to the festival in safety and comfort and on time with guaranteed seats. A return coach from Feira to the festival site and return. Please note that routes might be canceled in case of not enough seats sold. Get to the festival in safety and comfort and on time with guaranteed seats. A return coach from Porto to the festival site and return. Please note that routes might be canceled in case of not enough seats sold. Get to the festival in safety and comfort and on time with guaranteed seats. A return coach from Braga to the festival site and return. Please note that routes might be canceled in case of not enough seats sold. Get to the festival in safety and comfort and on time with guaranteed seats. A return coach from Guimaraes to the festival site and return. Please note that routes might be canceled in case of not enough seats sold. Get to the festival in safety and comfort and on time with guaranteed seats. A return coach from Coimbra to the festival site and return. Please note that routes might be canceled in case of not enough seats sold. Get to the festival in safety and comfort and on time with guaranteed seats. A return coach from Lisboa to the festival site and return. Please note that routes might be canceled in case of not enough seats sold. 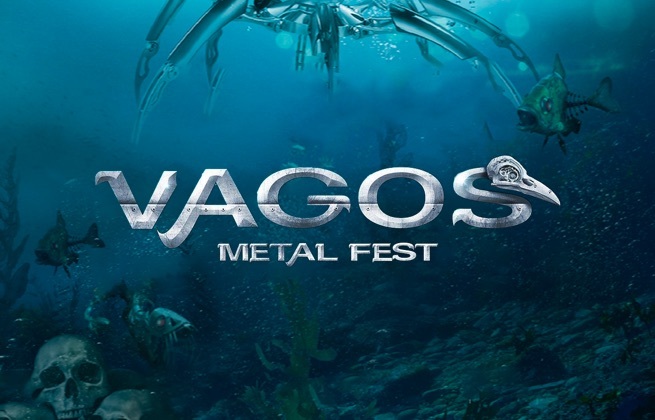 Vagos Metal Festival is one of the biggest and best-known festivals of its kind in Portugal, bringing heavy metal favourites to the town Vagos across four days in August. The festival was born in 2016, and since then the organisers have consistently offered up high-energy performances from some of the scene's heaviest hitters on a global scale, all in the green surrounds of Parque Quinta do Ega. The festival takes place in a park that overlooks the Boco River in the Portuguese town of Vagos.